Chelsey of Fourth & Folded (many of you may know and love her as Mrs. Gloss on Weddingbee) has been one of my blog buddies since we both discovered the other’s blog while planning our summer 2009 weddings. 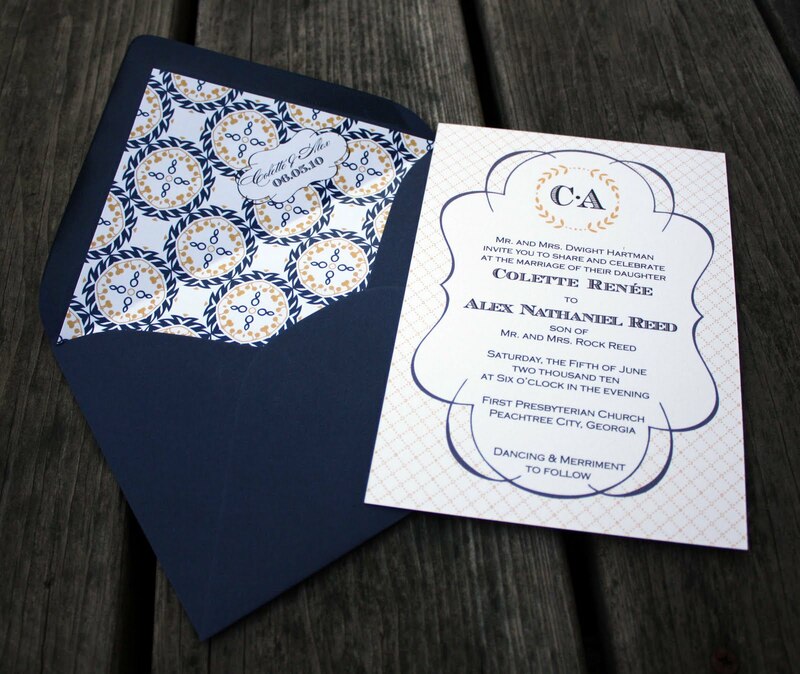 We share a love of architecture, trace paper, nautical details and typography so I was really excited when Chelsey recently put her graphic design prowess to work on a line of custom wedding invitations that are absolutely beautiful and incredibly affordable, too. 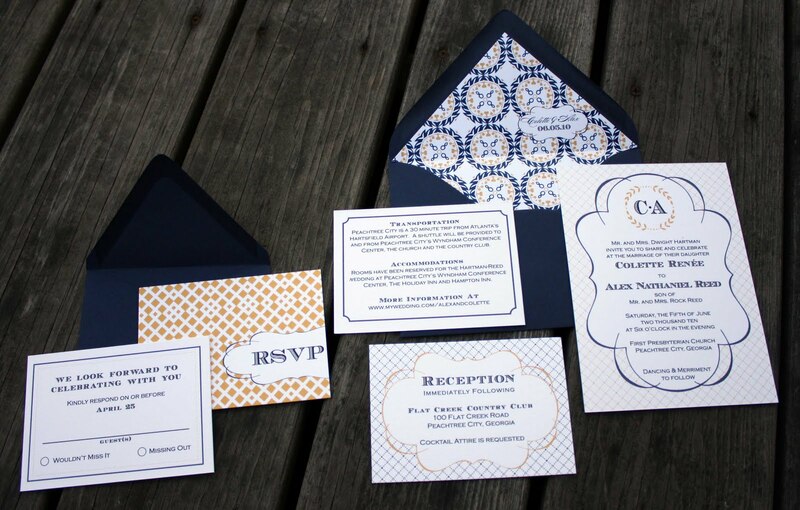 I love this recent set Chelsey designed for a Fourth & Folded client with a pretty custom patterned envelope liner and navy envelopes. 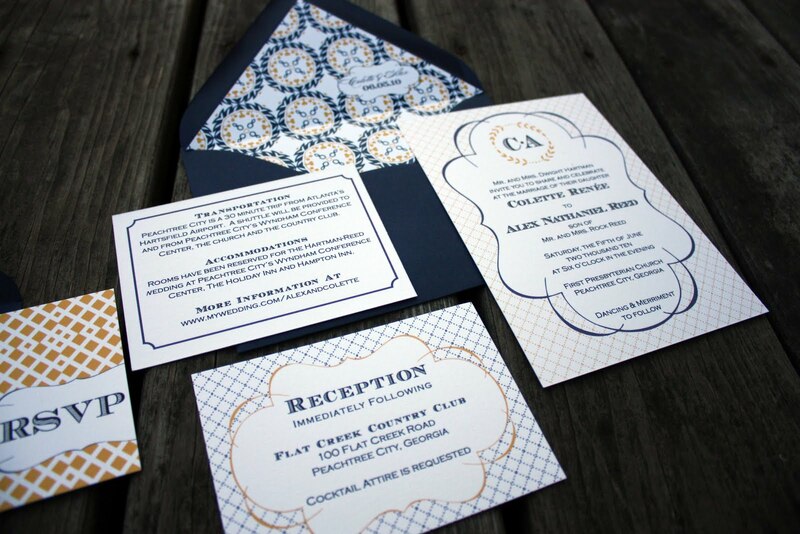 The details and play of colors, patterns and typography is so fun and sophisticated – I just love everything Chelsey designs.